Prop Domain, the premiere auction house for screen used props, is bringing to auction the largest collection of pre-1950 screen used & matched filming miniatures in existence. Most of these pieces are from 1930 to 1945 and some of them are even older. There are cars, boats, trains, and figures to chose from. Many of these were sold in the 1970 MGM auction and this is a rare opportunity to add them to any collection. In addition to this historic collection, the auction includes items from the newly released movie, Aquaman! 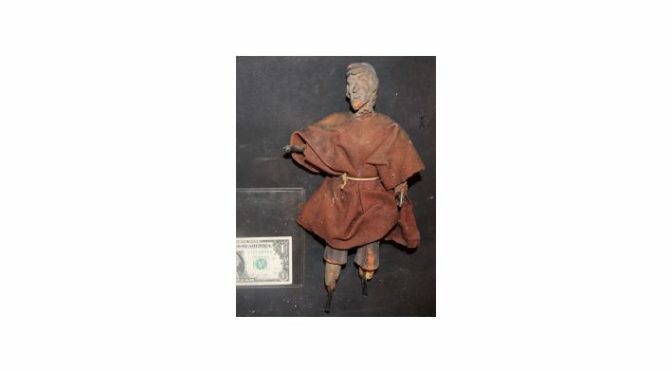 This is one of the best auctions from Prop Domain and is also offering props and collectibles from Child’s Play, The Conjuring 2, Insidious, and From Beyond. 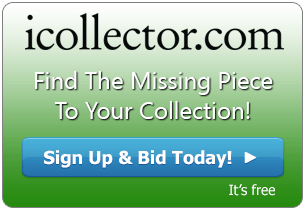 Absentee bidding is running in iCollector.com and the live auction kicks off at 10AM Pacific Time on Saturday December 29th, 2018. The live auction will be presented with a live audio feed from the always entertaining David Brandon, who is the founder of Prop Domain auctions, and top ranked horror movie site, HorrorDomain.com. Bidders can enjoy the commentary on each item, how he came about to acquire each piece, and bid alongside fellow collectors in pursuit of authentic props and memorabilia. Whether your budget is $10 or $10000, David will have something to offer you to use at your next party, or to add to your collection. The only known example of a Basil Rathbone antique filming miniature is up for grabs in the auction. This was made for one film with wardrobe sculpted in, and then the cloth wardrobe was added for use in another film. This is a highly valuable piece and a must have for collectors. A filming miniature of a life boat from the Titanic is another feature of the auction. The rowing mechanism is intact, and the boat is of all wood construction. This makes an incredible display piece! One of the treasures of the collection is a screen matched train from the film “Passage to Marseilles” with Humphrey Bogart. This train was used in several other movies; and is a real historical masterpiece. The full notes and description are available in the online catalog.